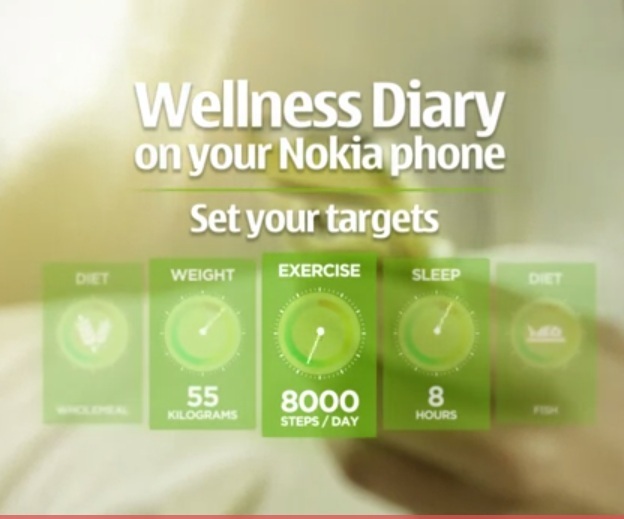 Rename Nokia Wellness Diary App! Got some suggestions? Just recently we saw the Nokia BH-806 renamed to Nokia J. Short, memorable and it describes the aesthetics of the bluetooth headset. We like! Here’s a little rant we wrote about 2 years ago on the importance of product names. Like Nokia’s product line, the name doesn’t really roll off the tongue. Fortunately it’s just in Beta. So, Nokia Beta Labs are asking for suggestions on a rename. Although the name Wellness Diary has served us well during the trial period, we need to find a new final name for the application. The new name should consist of only one word and it should somehow describe the application and the idea that Wellness Diary is your companion in wellness. « Analyst misinterpreted, believes Windows Phone will not beat Android by 2015, BUT by 2013, mainly because of Nokia.